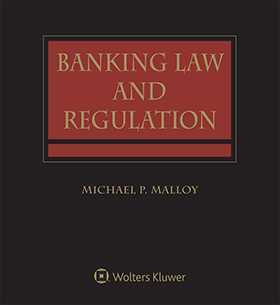 Banking Law and Regulation, Second Edition is a comprehensive three-volume treatise that provides subscribers with essential information covering a wide array of topics concerning financial services and banking reform law. What changes are currently taking place in the banking regulatory environment? Are we in compliance with all relevant banking laws and regulations? How do we form a holding company? Are we properly managing and reporting changes in our organization?